Hilarious, unpredictable and, at times, touching, this compilation is the perfect gift for fans of Weird Things Customers Say in Bookshops and The Diary of a Bookseller. 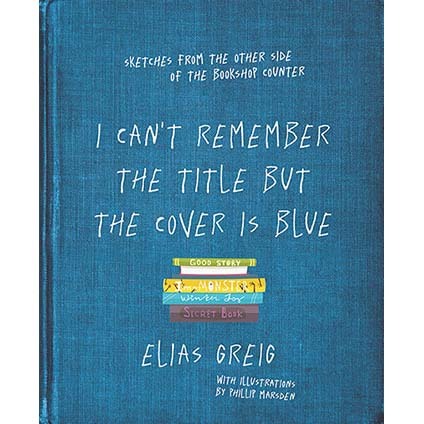 In I Can’t Remember the Title But the Cover is Blue, veteran bookseller Elias Greig collects the best, worst and downright weirdest customer encounters from his years working as a Sydney bookseller. From ill-behaved children to nostalgic seniors and everything in between, this hilarious and unpredictable book is the perfect gift for anyone who’s ever been on the wrong side of a counter.